Autumn 2015 at the moment and finally some soup dishes. Here is chicken and sweet corn soup which we have been making for 40 years or so: Maria was meticulous about shredding the chicken, Mum just chopped it (Peter). This recipe makes enough for 6 and is hearty enough for a meal. Use chicken pieces and maybe bouillon cube stock if you need less. 3. Gently boil whole chicken with neck and giblets (or use chicken pieces) for 90 minutes or so, with an onion and celery tops if you have them. Strain the stock and place in fridge overnight. When using, scoop off chicken fat sitting on top. 1. 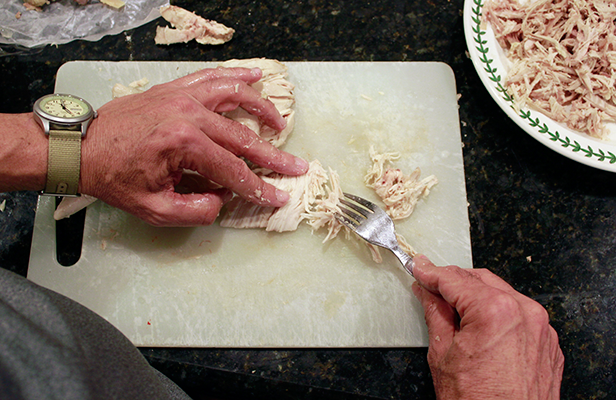 Shred all cooked chicken meat using fork and cutting board. 2. 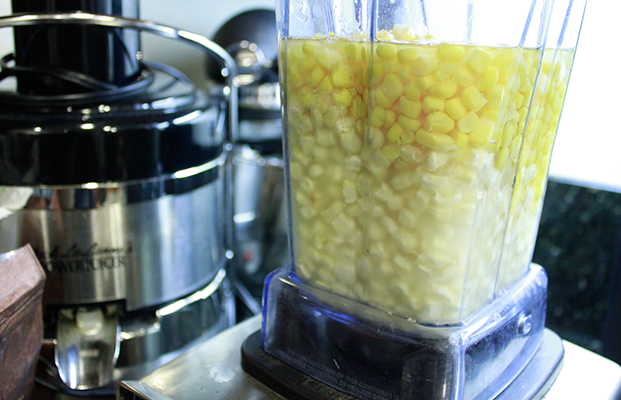 If using whole corn kernels, use blender or "rocket" to smash kernels. Try blending half quite thoroughly and the other half only roughly. Using both tinned and frozen corn kernels here. Great with toasted garlic bread. 3. 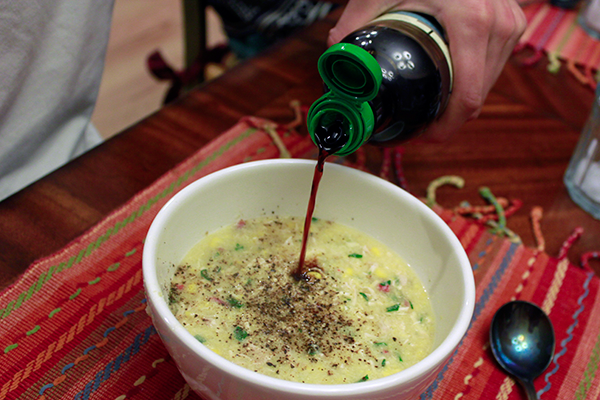 Heat oil in soup pot and add finely chopped onions. Cook 5 minutes. 4. Add chicken stock, chicken bouillon cubes, sesame oil, pepper and grated ginger. Heat to boiling. 5. Beat both eggs well with a quarter cup of water. Dribble slowly into boiling soup. 5. Tip in corn, lemon juice, shredded chicken, ham and chili (if using) and bring back to near boil. 6. Check for seasoning and consistency. 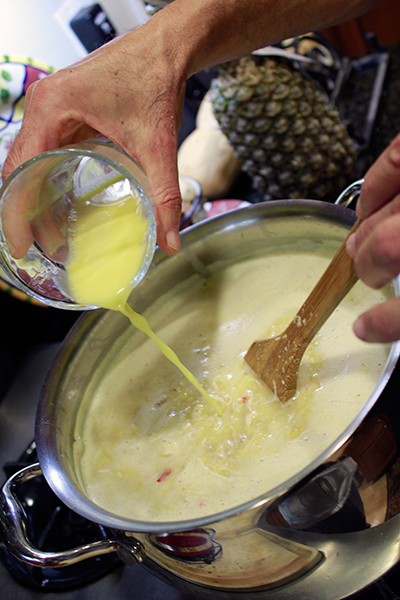 If too thin, bring to boil and add in a tablespoon of corn starch dissolved in 2 tablespoons water. 7. Add in parsley and serve.